Bibliografia: H.R. Mead, A Bibliography of George Berkeley Bishop of Cloyne, Berkeley 1910; T. E. Jessop, A Bibliography of George Berkeley, London 1934 (reprint: La Haye 1973); C.M. Turbayne - R. Ware, A Bibliography of George Berkeley (1933-1962), «The Journal of Philosophy», LX, 1963; G. Keynes, A bibliography of George Berkeley, Bishop of Cloyne, Oxford 1976; C.M. Turbayne, A Bibliography of George Berkeley (1963-1979), in Id. (ed. ), Berkeley critical and interpretative Essays, Minneapolis 1982; M. Kapstein, A Bibliography of George Berkeley (1980-1985), in E. Sosa (ed. 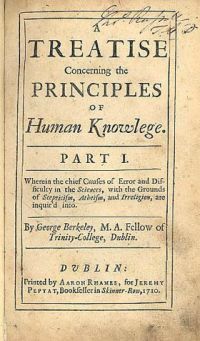 ), Essays on the philosophy of George Berkeley, Boston 1987; L. Downing, George Berkeley (Stanford Encyclopedia of Philosophy). Catalogue of the valuable Library of ... Dr. Berkeley, Lord Bishop of Cloyne. 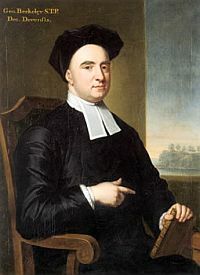 Together with the libraries of his son and grandson ... George Berkeley ... and ... George Monk Berkeley ... which will be sold ... by Leigh and Sotheby ... June 6, 1796, etc. MS. notes, , 46 p., in 8°. Il catalogo comprende circa 1546 volumi numerati progressivamente, ma con alcune aggiunte contrassegnate da un asterisco (in particolare tra i nn. 142-155, 390-405, 651-665, 930-931, 970-979) che non alterano, ma si sovrappongono alla numerazione complessiva. Il catalogo è ripartito nei sei giorni di vendita, i volumi sono suddivisi a seconda del formato (in 12°, in 8°, in 4°, in folio) e corredati da un’indicazione bibliografica completa. L’esemplare del catalogo conservato presso la British Library, e certamente appartenuto a Sotheby e Leigh, riporta a fianco di ogni volume il nome di colui che è lecito supporre ne sia stato l’acquirente. In calce, quasi a ogni pagina, è riportato il ricavo ottenuto, e a conclusione è vergato l’ammontare complessivo della vendita. Studi sulla biblioteca: R. Maheu, Le Catalogue de la bibliothèque de Berkeley, «Revue d’Histoire de la Philosophie», III, 1929, pp. 180-199; R.I. Aaron, A Catalogue of Berkeley's Library, «Mind», new series, XLI, 1932, pp. 465-475.